The company, which provides expert HR advice and health and safety support to businesses and start-ups in the private and third sector throughout the Lothians, has also increased its headcount from 3 to 11 in the last year to serve its expanding client base. 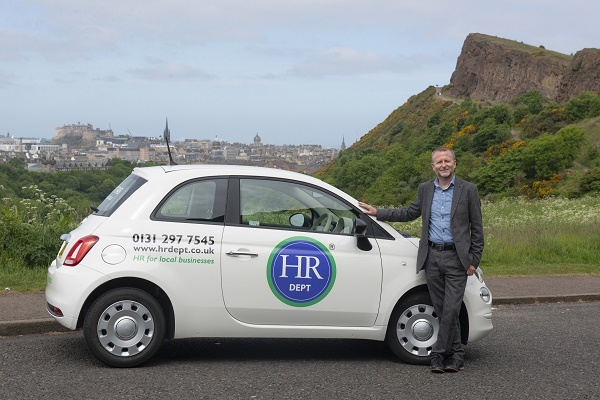 Launched locally in 2014, The HR Dept works across a wide range of sectors including charity and hospitality and has experience across all aspects of HR, from employment law and health and safety to recruitment and training. To support The HR Dept’s growth plans, senior director level appointments have also been made, seeing Rob Moore join as development director and Ciara Findlay as client services director. The HR Dept works with AM Bid, a bidding consultancy based in East Lothian, as its fully outsourced HR and H&S department. Other clients to benefit from The HR Dept’s expertise include Midlothian’s Safe Building Scheme Ltd and Edinburgh’s Lateral City.